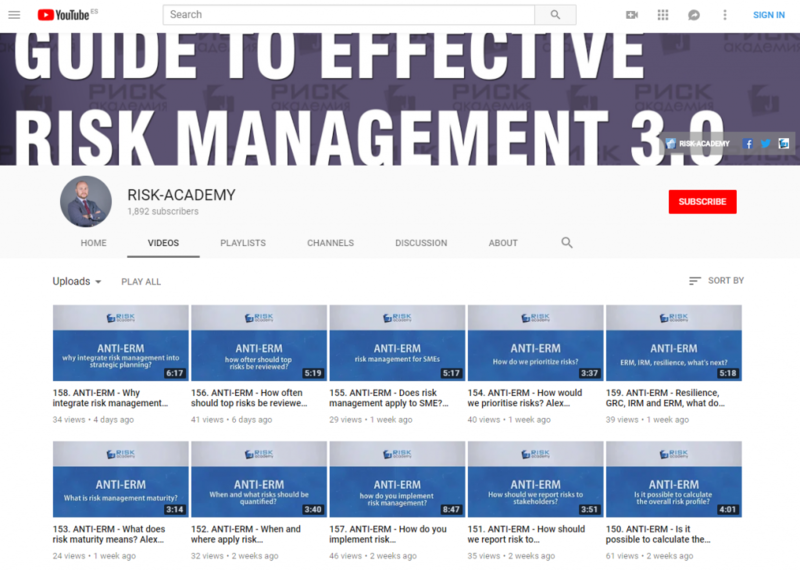 A while back I recorded a short video on the topic of risk management organizational structure in a non-financial company. In the video I discussed various options for risk manager’s place in the overall organizational structure. Since there is really no single right answer, the few common options include: reporting directly to the CEO, reporting to the Board or Audit Committee, reporting to the CFO or the Head of Internal audit and so on. You probably already have a personal preference. Hopefully this article will help you to rethink it. direct access to decision makers – risk managers must be close enough to the decision makers to be able to support the risk management integration into business processes and decision making and be able to reinforce risk management culture. This requires some level of seniority to be able to participate in the decision making and reach executives or Board members when required. access to information – risk managers need unfiltered access to various sources of information, including internal audit findings, IT data, production data, financial and accounting information, compliance data and so on. This requires good relationships with key information owners and established communication channels that will allow risk managers to use corporate data for risk analysis on a daily basis. The second criteria is the most important in my mind. As long as these two criteria are met the risk manager will be able to fulfil his role almost anywhere within the organizational structure. Internal audit doesn’t own many risks, so there is less pressure on risk managers to withhold information or exclude data from risk analysis. The opposite could be reporting to a CFO. Finance department originates and owns a lot of risks. I have come across companies where risk managers who reported to the CFO were pressured to exclude financial risks from the analysis or were prevented from integrating risk analysis into financial business processes. Internal audit has direct communication channel with the Board and the Audit Committee. This helps to integrate risk management into strategic decision making. Access to financial and operational company data. Internal auditors usually have full access to company data and facilities, which is invaluable when performing timely and accurate risk analysis. Access to audit findings, non-compliances, control weaknesses and so on. Internal audit is a gold mine of data that can significantly improve quality of risk analysis. I was very fortunate to be able to communicate with Internal auditors on a daily basis. Their input helped me dramatically improve my risk analysis and hence improve the quality of the overall decision making in the company. Risk management can also improve Internal audit planning and auditing procedures. The relationship works both ways. Higher ethical expectations from Internal audit. There are of course arguments against having risk management and internal audit in one department. I am sure you have thought of a few right now. Most of them are not real. I encourage you to write your arguments for and against in the comments below and I will try to respond to each one. I do not agree with your comments “first to seriously think Internal audit is truly independent is a bit of stretch”. This clearly shows that you do not believe in the core requirement of an internal audit or have experience with companies onwhich the Audit Committee has not given enough confidence to its internal audit. If your Audit Committee is strong and is actually doing what it is supposed to, internal audit can definetly be independent as it should be to bring real issues to the table. Very very naive way of thinking )) I am guessing you work in internal audit, how many executives have you sent to jail in your career?